My husband & I have been married for almost 9 years. We live in Dallas, TX, and I am a manager for a software development team. I have a large family that have all reproduced multiple times over; never did it even cross my mind that we would be one of those couples that struggled to conceive! We have been TTC for 5 1/2 years. After a year or so of trying naturally, we sought help. The first RE I went to see determined that I had endometriosis & I had a laproscopy in 2008. Right away we tried IUI’s; on the third try in 2009, I got pregnant but sadly our joy was short lived. 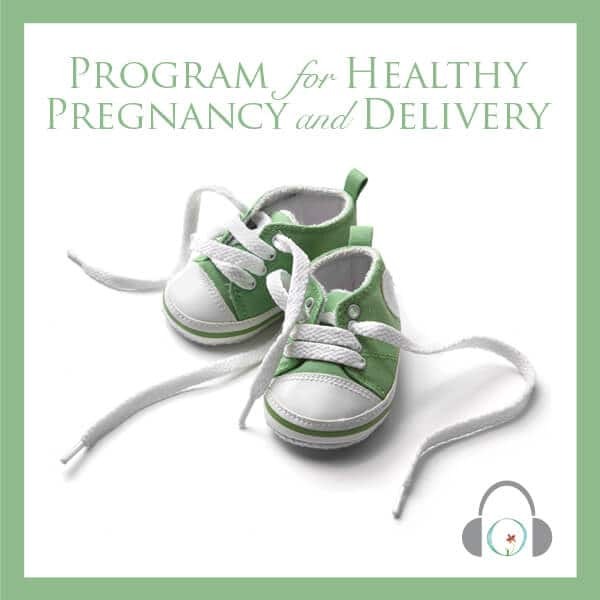 On the first sonogram, the Dr. told me that the baby’s heartbeat was very low, at only 78 bpm. The follow up sonogram the very next week revealed no heart beat. That following June we attempted our first IVF. I was shocked when my Dr. called me to tell me that he felt my response rate was too low to proceed, and we should just convert the cycle to an IUI. I always responded very well to the meds during my IUIs. I was baffled that a ton more medication would not produce a ton more follicles! We attempted another cycle the following September with a different protocol but got the same results. We decided to go for it; he retrieved 6 eggs but only 4 were mature; only 2 fertilized and no luck on a day 2 transfer. I then switched RE’s and he performed a different medication protocol but we got exactly the same results in every way as the previous one with one exception; my right ovary produced no follicles in that cycle. All of the follicles were retrieved from the left. I could not believe it!! That was the ovary that always did better. We took 5 months off and during that break I discovered the free Circle + Bloom download via conceive magazine. I started doing the meditation session often and found it very relaxing and empowering. 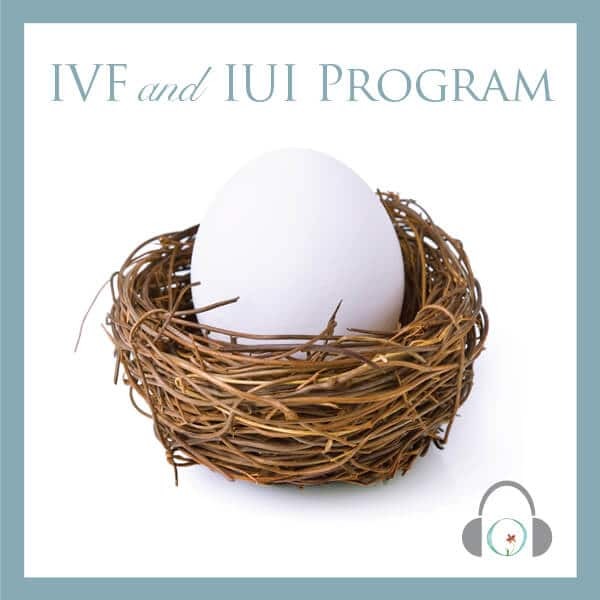 I eventually purchased the IUI/IVF program and geared up for another cycle. This time we decided to just do an IUI. It was summer and we did not have the time to devote to an IVF cycle, but we still wanted to do something. 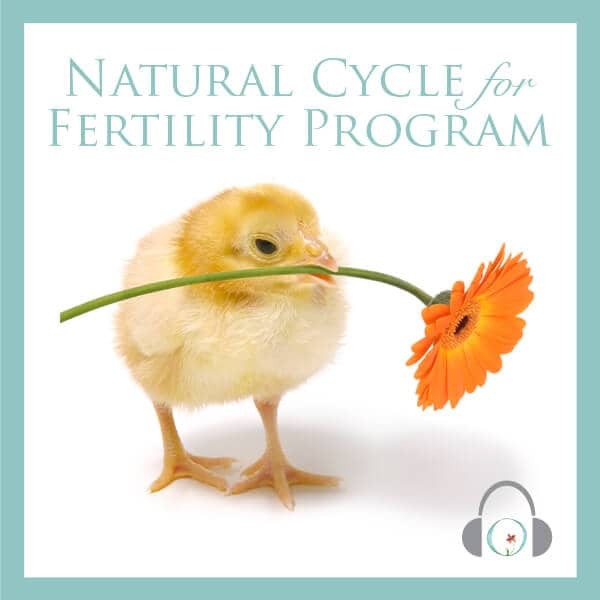 During my stimulation, I listened to the circle + bloom sessions and channeled my focus to my right ovary that did not respond at all on the previous IVF attempt. I came up with the number 4 and visualized 4 follicles growing in that ovary. I was shocked when I went in for my sonogram and the nurse told me “you have 4 growing only right ovary, and 2 on your left”. That was exactly what my mind told my body to do! I could not believe it! Unfortunately that cycle did not produce a pregnancy, but I was very encouraged about what my mind could tell my body to do! This past August, we switched RE’s again. A friend of mine who had the exact same issues as me and saw the same doctors I did previously but with no success, switched to this Dr. and is now a new mommy of twins. This RE has a drastically different approach to things. He really took some time to understand the root cause of our issues, and prescribed the appropriate protocol based on that analysis, which was drastically different than the ones of my two previous RE’s. I was very optimistic and continued to use the Circle + Bloom program, in conjunction with several sessions of acupuncture. Once I started taking the stimulation meds (all intra-muscular this time! ), I practiced my visualization technique as I did before. I focused on the number 8 for my right side, and 7 for my left. 15 follicles total is what I was telling my body to grow. In that first sono, the nurse said “you have 8 growing on your right side, and 7 growing on your left.” I did it again!! I told my body & visualized exactly what I wanted it to do and it did it. They ended up retrieving 12, 8 were mature, and all 8 fertilized. A huge improvement for me! This RE did what was called a banking cycle; they immediately froze all of them for the purpose of transfer at a later date once getting my body and uterine lining in the best shape to be receptive for transfer. Unfortunately only 5 made it through the thaw, and even worse than that, 3 of them were only 3-cell & highly fragmented on day 3 (should be 8 -cell by then). The other two were showing better quality but were slow – – one a 5-cell and one a 4-cell. I was devastated!! Everything was going so well this cycle, I could not believe it was not shaping up the way it should have been. My RE transfered all 5, saying that he believes that even though the 3-cell ones had little to no chance because of their very poor quality, they send signals to the others and push them along. I did my Circle + Bloom and tried hard to visualize that process happening, and the other two growing and implanting. Two days after transfer I had strange spotting, then no syptoms of any kind for the next 3 days. For the most part I was very pessimistic about the outcome of what we had determined would be our last cylce. The night before my beta test I had started getting period like cramps and started to cry. I told my husband it was over and we started talking about “what next?” Adoption? Egg donor? The next day when the nurse called me and told me it was positive and I had an HCG of 167, I ask her twice if she was sure she was looking at my file. I’m pregnant!! I am 7 weeks tomorrow and am very hopeful for the future. I need to start doing the Circle + Bloom pregnancy sessions!!! ?